Negotiators from Iran, the United States and the European Union are meeting in Geneva to remove the last remaining disagreements over how to implement the 24 November Geneva accord. The meeting scheduled for Thursday evening and Friday involve Iran's Deputy Foreign Minister Abbas Araghchi, EU deputy chief diplomat Helga Schmid and US Undersecretary of State for Political Affairs Wendy Sherman. 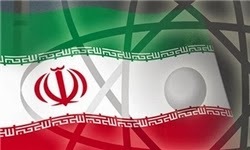 AP reported that one of the remaining questions was whether Iran would be allowed to use its new IR-2m centrifuges for enriching uranium at its research and development center. The Geneva agreement allows R&D while does not allow Iran to replace old centrifuges with the next generation models. The order and timing of steps to be taken in the next 6 months by Iran and by the P5+1 was also still to be resolved. The P5+1 wants to suspend sanctions identified in the agreement only after verifying Iran’s adherence to its obligation under the agreement. The Geneva agreement is to be implemented for six months, during which both sides are to negotiate a final agreement on the future of Iran’s nuclear program. The two sides are aiming to start the implementation on 20 January.